Today is Sunday. Alhamdulillah… I feel better today & hopefully I’ll fully recover soon. Al-Qur’an, ayat-ayat Manzil and al-Ma’thurat insyaallah… I’ll never forget to read those every day. Tomorrow I’m working as usual and hopefully I can give my full concentration on my works. Thanks for those who really concern about me; my friends, my officemate and especially my mom… Mama… I love you so much. Today I just stay at home and read back all my previous post in my blog. A lot of memory and I’m not going to discard all my post. It will remain as my notation… precious notation… This shows my life journey… my happiness, my sadness, my loneliness, my patience… I know one day I’ll get my true happiness. Thanks Allah for this great memory of my life. See?? I’m dream of again. Who’s ‘me’ in this quot actually??? 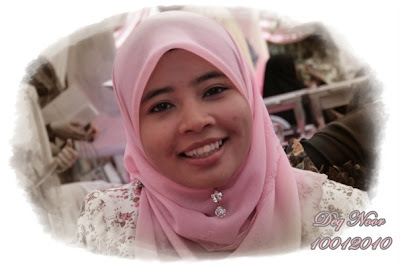 Tp xsalah kalau nk berangan kn… Hehe… I’m waiting ‘me’ to come and save me like a prince….Stop it dn!!! Hehe….